If you are looking for new exciting reading material consider heading to Amazon.com where today only you can snag six romance books by bestselling author Emily Giffin for only $1.99 each! 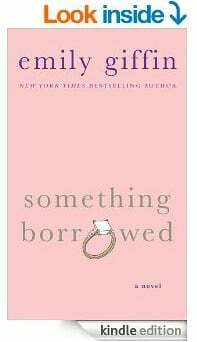 You’ll find the following highly rated books available: Something Borrowed, Something Blue, Love the One You’re With, Baby Proof, Heart of the Matter, and Where We Belong. Head on over and grab your favorites. Don’t forget, you can read these Kindle books on your iPad, iPhone, and Android devices with free Kindle reading apps, as well as on Kindle devices. This Amazon best bargain of the day is valid September 27 only.